I have always paid close attention to the box office results of films whether I enjoyed the movie or not, and honestly I never really put a lot of thought into why until now. In some cases it's obvious, when a film I love is ripe material for a sequel but the only way that will happen is thanks to some extra green in the pockets of studio execs, but even when that isn't possible I have always cared. 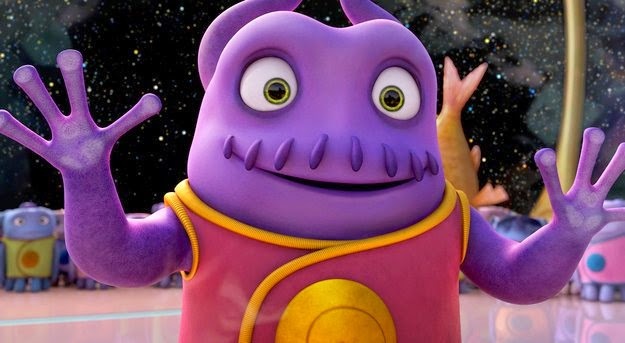 After watching the new film from Dreamworks Animation Home, and then learning of its thus far successful financial run, I realized that it isn't that I care for that singular films performance, it's that I care about the big picture of the future of cinema. I see articles discussing the fact that the masterful film How To Train Your Dragon 2 disappointed on the business side of things and yet here is Home, a film mired in mediocrity yet it makes the suits in charge smile with glee when the numbers roll in. So you might be thinking, Scott, why do you care? I care because when a move that reeks of such desperation like making Rihanna the voice of a main character is rewarded, it could change the business model of the studio going forward. She simply was not the right choice if the goal was to make the best possible picture, as her singing ability didn't translate to a talent of giving an animated character any heart or depth. 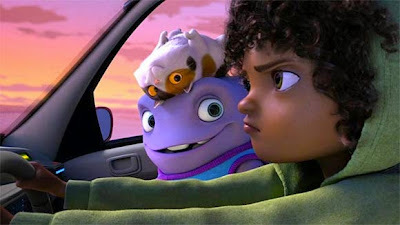 Oh, and there is a scene in which the little girl she voices turns on the car radio, and a Rihanna song is playing. You could practically hear my eyes roll in the theater. Meanwhile, you have the underutilized natural and often times actually funny performance from Steve Martin, one of the major reasons why I came very close to giving Home a passing grade and a recommendation. When his character Captain Smek was on screen, the film was better for it, and that is unfortunate because he is relegated to being merely a supporting bit outside of the core of the film, which didn't work nearly as well. I can't solely pile on to Rihanna as the problem with Home, that would be unfair because in some respects the team of writers and director Tim Johnson did the actors no favors themselves with a rushed, frenetic film that finally decided to take a moment to breathe when it was already too late. The first half or so of Home is just chaos with absolutely no attempts to develop any characters or allow the plot to soak in, and by the time it takes its foot off the gas and strives towards emotional resonance we are still trying to find our footing from everything before it. 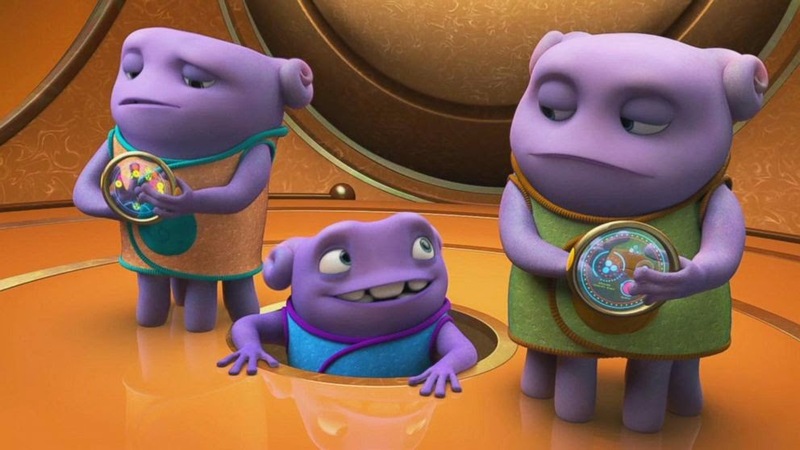 Home isn't a terrible movie by any means, I did honestly have some fun with it. Go ahead and take your kids because I am sure they will enjoy it, lord knows mine did. Hell, you may have a blast as well, but down the road this won't be on the map the way other, far richer experiences from the same or other animation studios have been over recent years. "Did Rihanna save Dreamworks Animation?" This is not good news going forward.